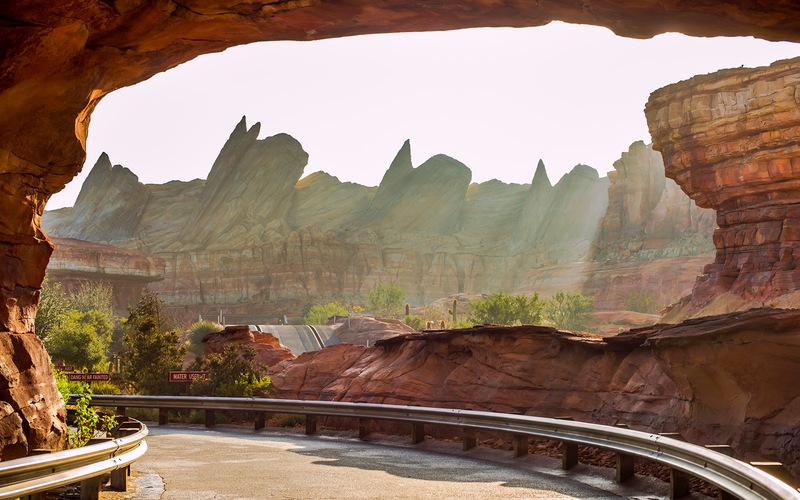 Shooting through the archway of the Pacific Wharf entrance into Cars Land never gets old. That passageway into a spectacular recreation of the Old West, with its wide open spaces and rugged terrain, always inspires awe. What is much more rare, however, is getting an empty shot of this scene--during the day! But during a trip to the park last month, that's exactly what unfolded for a brief moment. The morning light cast a warm haze over the Cadillac Range, but the view was still breath-taking. And with no person in the frame, I made sure to capture this rarity!